UPDATE, SUNDAY AT NOON PT: An individual who claims to be tied to FindMakarov has emailed me what is purportedly a still frame from the “FindMakarov” production. 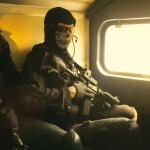 Call of Duty fans will instantly recognize the character as Simon “Ghost” Riley from Task Force 141 in Modern Warfare 2. 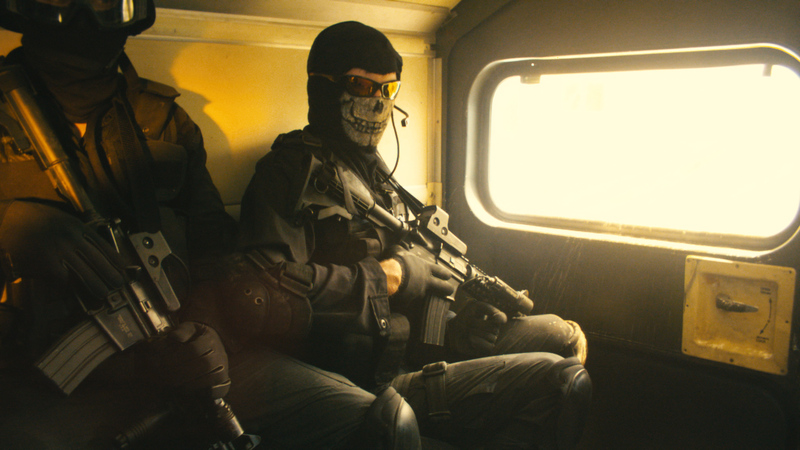 Based on this image it seems that FindMakarov is a live-action short film inspired by MW2. ORIGINAL STORY: Yesterday the Internet was buzzing with rumors that Activision is set to announce the next Call of Duty on Wednesday, March 2. Those rumors started when a website, FindMakarov.com, began a mysterious countdown that ends on Wednesday morning. That’s two years to the day when Infinity Ward revealed the teaser trailer for Modern Warfare 2 during the Game Developers’ Choice Awards at GDC. So, on the surface, it was natural to assume we were days away from the announcement of the next Call of Duty. That theory was only reinforced by the site’s Modern Warfare 2-style visual identity, not to mention the obvious reference to MW2 villain Vladimir Makarov in the site address. The only problem? Six hours after the site went live Activision did something no one expected: It released a statement calling FindMakarov an outright hoax and confirmed it has no plans to announce the next Call of Duty on March 2. I began to wonder what was going on here. Is Activision pulling a fast one, trying to draw players even deeper into an elaborate ARG for the next Call of Duty? Or is the site a parody effort on the part of Electronic Arts, which recently poked fun at Call of Duty with an elaborate game called Duty Calls? On Tuesday night EA is scheduled to reveal the first demo of Battlefield 3, its Call of Duty competitor set for release this Fall. It would be a ballsy move for the FindMakarov countdown to end, only to reveal a Battlefield 3 video from EA. It turns out both those theories are wrong. After some sleuthing I can confirm that the site has nothing to do with a game publisher or developer. Don’t expect a game announcement to pop up when the countdown ends. Instead, I can exclusively report that Findmakarov.com is the creation of We Can Pretend, an independent Toronto, Canada-based creative collective that is expected to launch a project inspired by Call of Duty on March 2. Production sources who worked on the self-funded project call it visually spectacular. From what I can tell Activision has no involvement and was seemingly as surprised as we were when the teaser website went live yesterday morning. I’ll update this post as I learn more.